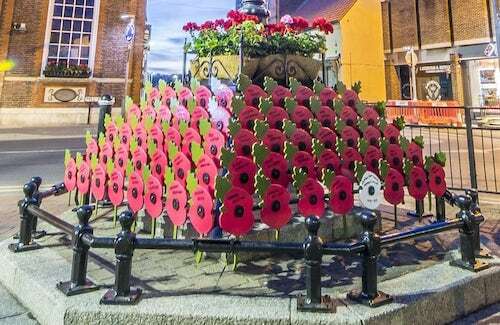 Sunday November 11th 2018 – Remembrance Service at All Saints’ Parish Church, Driffield at 10.00am. Minutes silence and laying of wreaths at the War Memorial in the churchyard at 11.00am. If you wish to participate in the parade, please meet at the Tesco car park at 9.10am to march to the church at 9.25am. Sunday November 11th 2018 – A Service to Commemorate the Centenary of the End of World War One at All Saints’ Parish Church, Driffield at 5.30pm. A special service organised in partnership with Driffield Town Council, All Saints’ and Driffield Churches Together to remember and pay tribute to those Driffield boys who left in 1914 and never returned. Featuring Driffield Male Voice Choir and Driffield Silver Band. Followed by the Nation’s Tribute itinerary, the Last Post will be played at 6.55pm by Luke Gledhill in the churchyard, with the lighting of the Beacon of Light at 7.00pm and then Ringing Out for Peace at 7.05 by All Saints’ Bell Ringers. All welcome.